Want to sell your house? 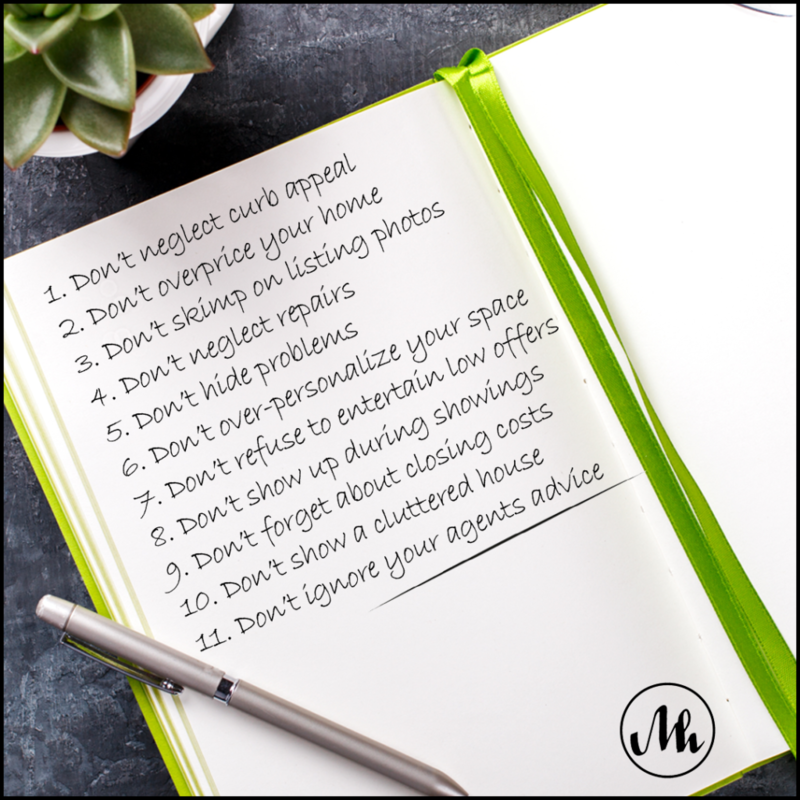 Here is a list of 11 things not to do if you really want to sell your house. Need advice? Call 📱or text us! Get free real estate updates and useful tips. Loving, friendly, helpful, kind, assertive, detailed, top notch, gifted, capable, outstanding, "see a need and meet it" kind of gals. Love these two human beings! Thankful beyond measure for the talents they share and the support they provide to MHRE. THANK YOU!